AWS Certified Solutions Architect Professional ( SAP-C01 ) is consistently among the top paying IT certifications, considering that Amazon Web Services is the leading cloud services platform in the world with almost 50% market share. Professionals can earn over $150,000 per year with an AWS Certified Solutions Architect certification! In order for you to pass your AWS Certified Solutions Architect Professional exam, the exam blueprint, General IT, and AWS knowledge are key components that you have to learn and master. The 4 sets of AWS Solutions Architect Professional practice tests included in this course contains 75 questions per set, which simulates the latest (Feb 2019) version of the actual exam. At the end of each set, you will also find comprehensive explanations and reference links that will further strengthen your knowledge of the AWS concepts needed to pass the AWS certification exam. These AWS Certified Solutions Architect Professional practice tests are patterned after the latest exam format and updated regularly based on the feedback of our students on what appeared in the actual exam. Our AWS practice tests are TOP-NOTCH, as demonstrated by the reviews on our course. Plus a 30 DAY MONEY BACK GUARANTEE if you’re not satisfied for any reason. 300 TOP-NOTCH Questions – has 4 sets of AWS Practice Tests with 75 UNIQUE questions and a 180-minute time limit for each set. SIMULATES ACTUAL EXAM ENVIRONMENT – mimics the actual, and the latest AWS Solutions Architect Professional certification exam (Feb 2019 version) to help you pass and even ace the AWS exam! DETAILED EXPLANATIONS AND REFERENCE LINKS – our answer keys at the end of each set have full and detailed explanations plus complete reference links so you can check and verify yourself that the answers are correct. COVERS ALL 5 EXAM DOMAINS – questions were designed to cover the 5 exam domains: (1) Design for Organizational Complexity, (2) Design for New Solutions, (3) Migration Planning, (4) Cost Control, and (5) Continuous Improvement for Existing Solutions. UPDATED 2 TO 4 TIMES A MONTH – we have a dedicated team updating our question bank on a regular basis, based on the exam feedback of students who recently took the test, as well as through external benchmarking. 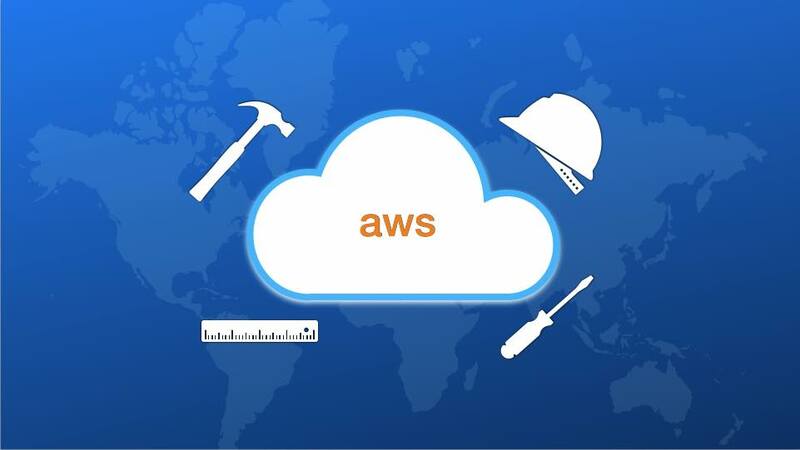 Added new questions that appeared on the new exam version – AWS Organizations, AWS Server Migration Service (SMS), AWS Rekognition, AWS Serverless Application Model (SAM). Updated the domain mapping of the questions – to align with the Feb 2019 version of the AWS Certified Solutions Architect Professional exam. NOTE: To align with the Feb 2019 exam version, this practice test course is gradually being updated by adding more questions on Design for Organizational Complexity (Domain 1), Migration Planning (Domain 3), and Cost Control (Domain 4). ACTIVE Q&A DISCUSSION BOARD – with inputs from the instructors and exam feedback from our students, our Q&A board gives you the opportunity to know which topics recently appeared on the exam and better understand the AWS services and concepts covered in the test. VERY RESPONSIVE INSTRUCTORS – our friendly team of AWS experts are able to address all your issues and questions within 48 hours. CONTAINS A TEST REPORT – to track your progress and show you which Knowledge Areas you need improvement. MOBILE-COMPATIBLE – so you can conveniently review everywhere, anytime with your smartphone! HAS BETTER VALUE THAN OFFICIAL AWS PRACTICE TEST – which is worth about $40 but only contains about 20 – 40 questions. CLEAR AND ERROR-FREE QUESTIONS – Each item has a reference link that can validate the answer but you can also post to the QA section so we can discuss any issues. The questions in each set are carefully created and selected based on the 5 domains of the actual AWS Certified Solutions Architect Professional exam. Out of the 5 domains, there are a lot more questions on Design for New Solutions and Continuous Improvement for Existing Solutions, as these are the topics with the heaviest weight in the actual exam. Note that although there is a focus on these topics, the questions are all still unique, to ensure that you fully grasp the topic. Some people are using brain dumps for the AWS Certified Solutions Architect certification exam which is totally absurd and highly unprofessional because these dumps will not only hinder you to attain an in-depth AWS knowledge, these can also result with you failing the actual AWS exam since Amazon regularly updates the exam coverage. Please also note that these AWS practice tests are not brain dumps and since Amazon shuffles the actual exam content from a question bank with 500++ questions, it is nearly impossible to match what you can see here with the actual tests. Again, the key to passing the exam is a good understanding of AWS services and this is what our AWS Certified Solutions Architect Professional practice tests are meant to do. There are a lot of existing AWS Practice Tests in the market however, most of them contain both technical and grammatical errors that is not only annoying but may also cause you to fail the actual exam. There’s also the official certification practice exam provided by AWS but these only have a few questions and cost about $50 USD — a price that is more expensive than taking these 300 Unique and Timed AWS Certified Solutions Architect Professional practice questions! Just like in the Associate exam, when I was reviewing for my AWS Certified Solutions Architect Professional exam, I again had a hard time finding comprehensive AWS practice tests to help me pass my exam. I bought some of them in the market but I was disappointed because there are a lot of technical and grammatical errors in the questions. This is why I created these AWS practice tests – to help my fellow IT professionals in the industry. We gave a considerable amount of effort to create and publish these AWS practice tests, including the laborious task of checking each item for any errors. We are confident that this will significantly help you pass your exam. All the best! What will you achieve after taking this AWS practice test course? Become an AWS Certified Solutions Architect – Professional! These AWS Certified Solutions Architect Professional practice exams have a passing score of 75% but I highly encourage you to repeat taking these sets again and again until you consistently reach a score of 90% or higher on each exam. Note that the AWS Certification exam passing score is not published by Amazon as it is set by using statistical analysis which may change without notice. Remember that using this product alone does not guarantee you will pass the exam as you still need to do your own readings and hands-on exercises in AWS. Nonetheless, these AWS practice exams provide a comprehensive assessment on which knowledge area you need improvement on and even help you achieve a higher score! Excellent variety of questions and best explanations I found anywhere. I took my AWS CSA Pro exam and got 83% score. These practice exams help me be comfortable with the real exam. It simulates the real exam which will put your brain into working and analyzing each possible answer. If you got a wrong answer, the explanation will help you understand what aspect you missed and for sure you will not be trick by similar questions again. The real exam is very tough but if you are used to answer the difficult question it will be easy when you seat on your exam. Train Hard, Fight Easy. Peace Among Worlds! I completed the AWS Certified Solutions Architect – Professional Exam and I was able to clear it successfully with 81%. Without a doubt, the practice exams of Jon and Tutorials Dojo played a significant role in equipping myself for the exam. I would like to highlight 3 key things about this course, which are truly differentiating this course from the ones offered by other training vendors 1) The questions are of the right standards (comparable to what appeared in the main exam) 2) The explanation given for each of the answers are easy to understand and pretty clear. You’re not just reading the explanation given, but also reading a section of the white paper or a developer guide or a FAQ from AWS itself, which strengthens your knowledge 3) If you are not convinced about an explanation or if you have a question about the answers, you get an immediate response from the course creator (Jon) that addresses your posted query. Overall, this is an amazing piece of work by Jon and I’m so glad that I purchased it. Thanks Udemy & Jon. And my best wishes for all those who intend to pursue AWS CSA-P exam. Great test examples with questions that are similar to ones I saw in the real exam. Responsive team, frequent updates, clear explanations of the correct answers and handy cheat sheets. This is a long a difficult test so these practice exams are really helpful to get prepared. Most of the difficulty is in digesting the question itself so this will get you use to the scenario based questions and how to pick out key words to eliminate answers. I was able to pass my exams, real great product I highly recommend. The questions are quite identical to the ones in actual ones, in fact almost 70% of the questions are similar to the mock tests. I passed the SA-Pro exam in 1st attempt and the mock tests helped me substantially for the actual test. A great set of questions that spanned all the domains with very lucid explanations for the correct answers! Some of the content here realy helped me understand the topic clearly. Jon is very prompt in his responses and takes special care in keeping the content uptodate and correct. He is very receptive to feedbacks and I rate him as Exceptional! I passed my SA professional exam on my first attempt and I owe this to the excellent set of questions in this compilation!! Some background, I used Jon’s practice tests for the AWS SA associate exam and cleared the exam. Based on that experience. I had no doubt about this one in terms of what to expect. I knew I was in safe hands and it will be a good investment of my time and money. So far I have completed all the 4 practice tests and they are amazing. The explanations are very helpful and I literally learned a lot of new information just by going through the explanations. Thanks Jon for the wonderful work you doing!! Hello! I’m Jon, a Full Stack software developer based in Sydney, Australia, with over a decade of diversified experience in Banking, Financial Services and Telecommunications industries. I’m an Amazon Certified Solutions Architect Professional and have been working with various cloud services such as Google Cloud Platform and Microsoft Azure. I was also employed by top tech and finance companies such as HP, Accenture, Telstra, and Macquarie Bank. When I’m not in front of the screen, I like to play the piano and guitar but my greatest passion is teaching, as I believe that quality education is the great equalizer. Coming from my humble beginnings in the Philippines, I know how hard life can be if you don’t have the technical knowledge and skills needed to have a well paying job. I am not ashamed to publicly tell you that I was born in the slums of Metro Manila and I didn’t excel on my studies. Growing up, we were selling rice, poultry supplies and other stuff in our small variety store (also called ‘sari-sari’ store in Filipino). But with hard work, determination and unrelenting persistence, I was able to turn my life around and help my family in return. So aside from the technical knowledge that you may learn from my course, I also promote having these life values. Even though I failed so much before in life, I DID NOT QUIT and persevered to further improve my skills and myself. The salary that I earned from my career is truly life changing and this is what I want you to have as well! I am passionate at what I do and I dedicate a lot of my time creating educational courses while juggling a full-time job here in Sydney. 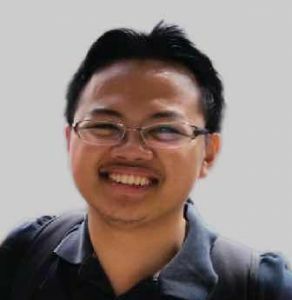 I had given IT seminars to different universities in the Philippines for free and have launched educational websites as well, using my own money – without any external funding. Having said all of this, I invite you to check out my courses and kindly let me know how I can further improve my products. Your constructive feedback is a powerful tool not just to help me, but to also help other people who may have been struggling to learn the subject matter. Thank you and I hope to hear from you soon!